NAIL OF THE DAY. 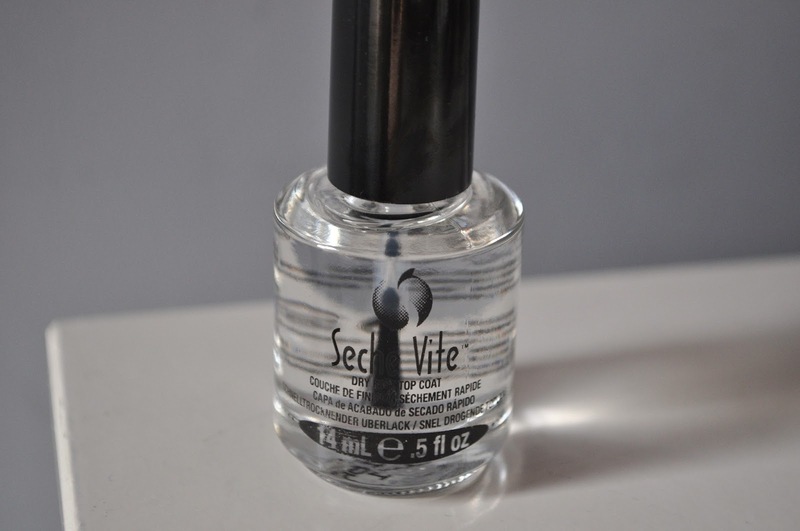 SECHE VITE DRY FAST TOP COAT. | Life Looks Perfect. NAIL OF THE DAY. 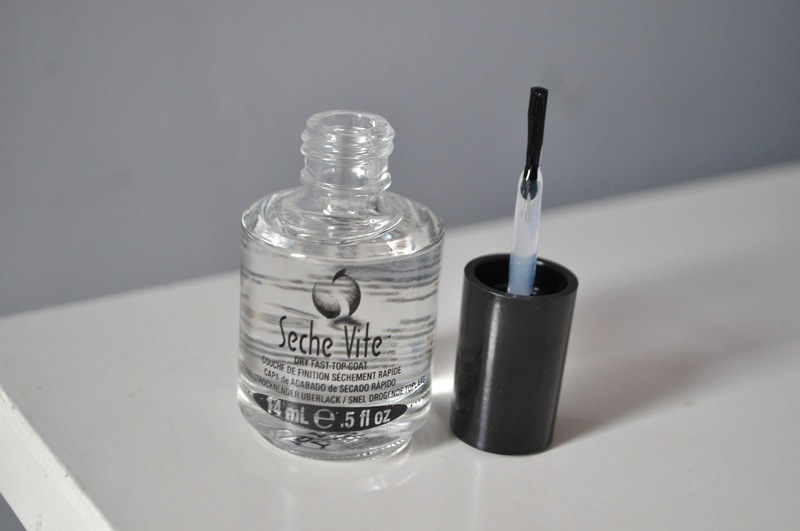 SECHE VITE DRY FAST TOP COAT. Seche Vite dry fast top coat has to be one of the most hyped up nail products in the beauty world and couldn't wait to get our hands on it. Luckily enough for us, after having had an amazing experience meeting the wonderful Pixiwoo at Liberty's we were also given a jam packed beauty goody bag full of fantastic new products to try and the Seche Vite dry fast top coat was included whoop whoop! After having read so many great reviews on this product and a claim that it is the "world's finest top coat" we have to say that our expectations were already super high... so here we go. Firstly applying one thick coat over freshly dried painted nails as instructed, which was really easy to do. The brush fans out really nicely across the nail so it is really simple to get full coverage. When the top coat is fully dry, which didn't take long at all, we were amazed by the beautiful high shine finish as well as the silky smooth hardy surface on nail. A manicure finish - simples! This top coat is different to the majority as it penetrates all the way down to the base coat under your nail colour to form one solid coating over the nail. This then leaves your nails feeling strong and hard wearing. But... Jess did say that on Day 2 of using Seche Vite, she was already experiencing some of the top coat peeling off! 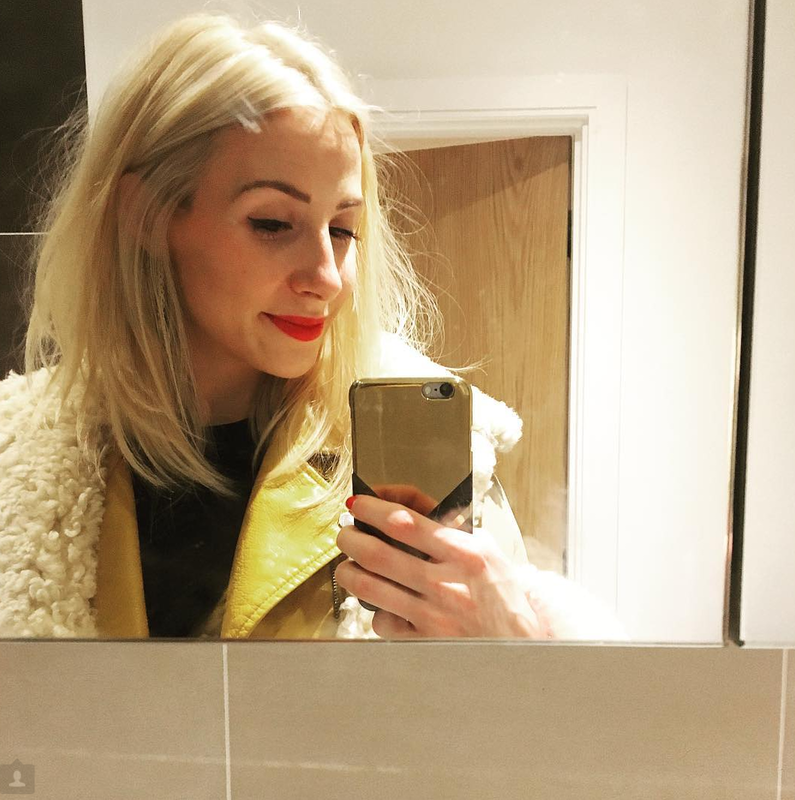 Suddenly not so impressive but as we previously mentioned, having read such great reviews we would maybe give the product the benefit of the doubt and as Jess could have applied the top coat too thick. But it is was definitely a real shame. If you have experienced this too we would definitely recommend Nails Inc Kensington Caviar Gel Effect Plumping Top Coat - as recommended by Becki (see the REVIEW). Since Jess' trial, we have used the Seche Vite top coat regularly and in both of our areas of work, we really put nail varnish to the test! Even if our nail varnish was covered in cement, we would end up with chipped nails. So overall, we think that for a short term glamorous nail, this top coat is fab! Even as just a clear nail varnish on a natural nail, it still feels strong and looks shiny.